Outfit your characters with unseen powers using the new gear in cybernetics 2! Complete rules for players and GM’s. 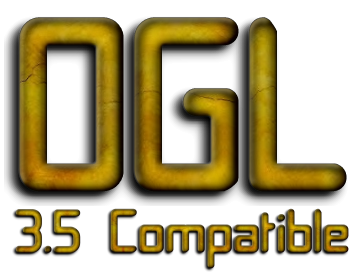 Compatible with The Starfinder Roleplaying Game. Space explorers looking for hard copies of can benefit from a bundle discount! Data never looked this good. 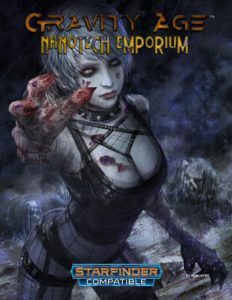 BUY NOW FROM OGS!BUY NOW FROM DRIVETHRURPG! 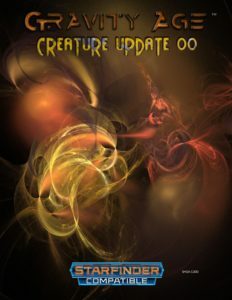 Gravity Age universe is expanding with Creature Update 01! More creatures from the Gravity Age workshop! Outfit your campaigns with cutting edge nanotechnology! But beware of potential side-effects. Complete rules for players and GM’s. Compatible with The Starfinder Roleplaying Game. Outfit your campaigns with cutting edge cybernetics! Complete rules for players and GM’s. Compatible with The Starfinder Roleplaying Game. 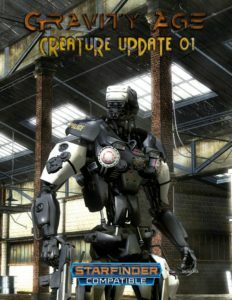 Gravity Age comes to life with Creature Update 00! Space explorers be warned aether wraiths and nanoswarm horrors are not to be taken lightly. If that’s not enough, challenge your party with nano-zombie space goblins! BUY NOW on Open Gaming Store! 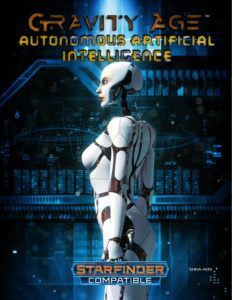 Our research and development team has been working overtime to bring you the latest and greatest in cybernetic advancements. 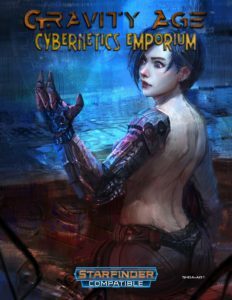 Whether you aspire to achieve perfection through technological augmentation or simply want to get a leg up on the competition this emporium of is for you! Bad guys! If you are looking for evil plot devices or discussion points for future monologues there is likely a little something in here for you too! • 7 new AAI NPCs for your campaign! Gravity Age comes to life with Creature Update 00! This mini-rules accessory includes nine new opponents for your Starfinder Roleplaying Game campaign. Space explorers be warned aether wraiths and nanoswarm horrors are not to be taken lightly. If that’s not enough, challenge your party with nano-zombie space goblins! Twenty new, used, and updated creatures for the Starfinder Roleplaying Game. 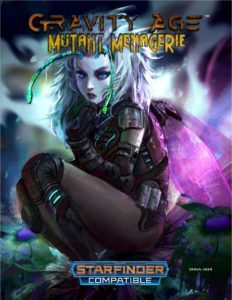 This accessory contains new playable races, fungoid fauna, common technical constructs, equipment, and a genetically malleable pet which can be upgraded as the characters advance. 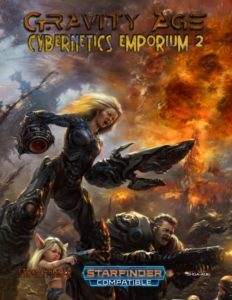 Gravity Age: Cybernetics Emporium is published by Stroh Hammer under the Open Game License version 1.0a Copyright 2000 Wizards of the Coast, Inc.